You know we love to offer unusual outdoor activities here at the park (remember juggling, Square Dance, or Bingo?). Our passion for surprising activities is matched only by our love of puns. Luckily, our Fly Fishing classes allow us to indulge both of these passions. Though fly fishing on dry land might make you feel like a fish out of water, enjoy the dry run. 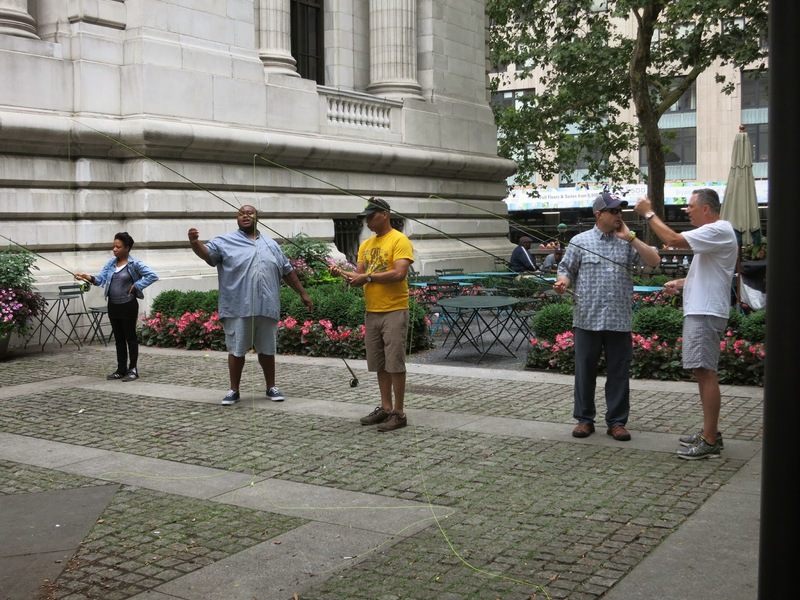 Learn to cast and reel from the experts at Orvis, located just across Fifth Avenue from the park. Attend once and you're sure to be lured into exploring fly fishing on your own. Join us on select Saturdays, 10am - 12 noon, on the Fifth Avenue Terrace for a reel good time. Register at 212-827-0698; equipment is provided.